Defending-champion Australia carded a second round 8-under 205 to move into a tie with Mexico (-12) for the lead halfway through the TOYOTA Junior Golf World Cup 2013 Supported by JAL in Toyota City, Aichi-Prefecture, Japan. South Africa (-10) is in third, followed by opening round leader Venezuela (-9) and the United States (-6). 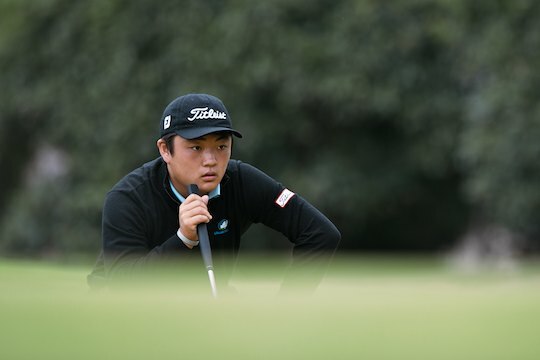 Chinese Taipei and Japan are tied for sixth at 4-under while Germany checked in at minus-1. Sweden (+3), Chile (+5), Korea (+9) and Costa Rica (+20) round out the field. Three players – Jorge Garcia of Venezuela, Mexico’s Aaron Terrazas and Adam Wood of the United States – find themselves tied for the individual lead at 6-under. Australian teammates Lucas Herbert and Ryan Ruffels (-5) are tied for fourth – one stroke ahead of South Africans James Du Preez and Thriston Lawrence, Marcus Kinhult of Sweden and Chinese Taipei’s Chieh-Po Lee (-4).